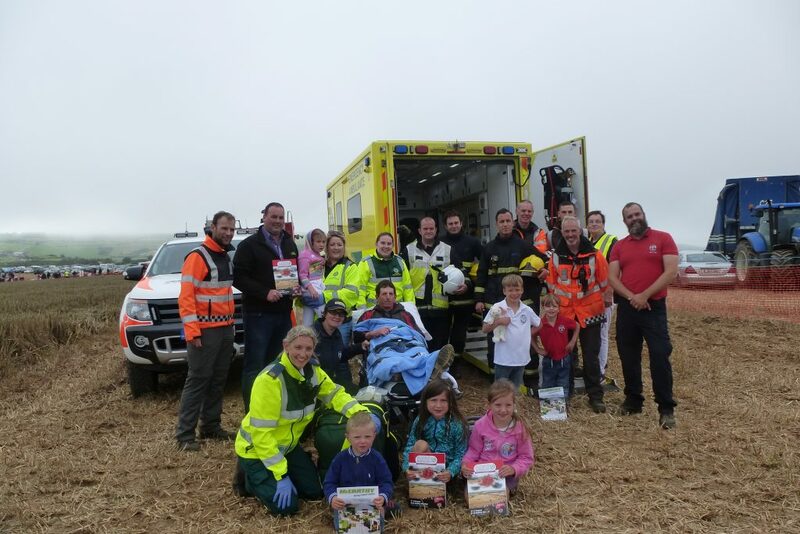 Highlight of the 2018 Harvest day in Kilbrittain was the simulated farm accident. 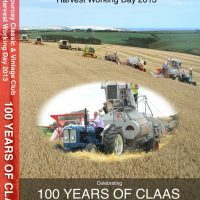 Spectators were horrified to see a man becoming trapped in the intake auger of a combine harvester when trying to clear a blockage in the header. Luckily Dr Jason van der Velde from West Cork Rapid Response was on site as were members of the H.S.E. ambulance service, and Coastguard. Dr Jason explained the actions being performed to extract the victim from the machine. 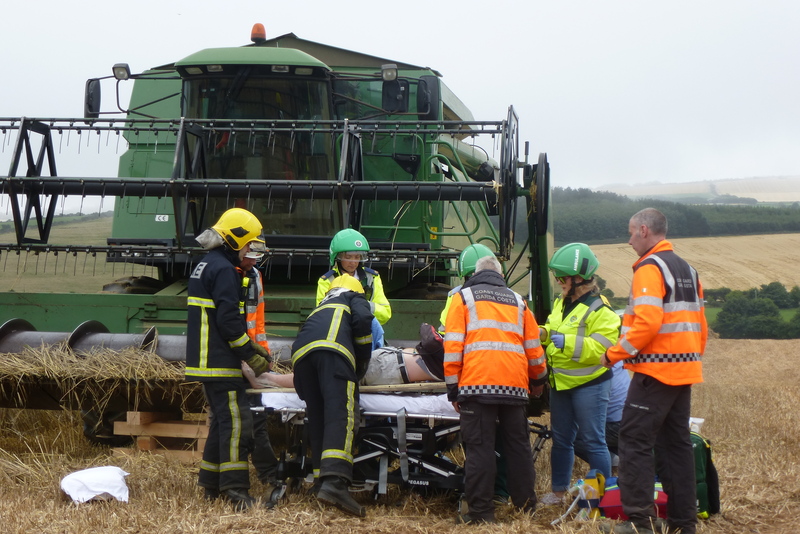 Using his DART philosophy( Disengage, Analgesia(Pain Relief), Reverse and Tourniquet) the casualty was safely removed from the combine treated and removed from the site. Jason then answered questions from the audience. Many thanks to everyone who participated in this excellent demonstration we hope it will raise safety awareness and also inform people of what to do in the event of an accident happening. 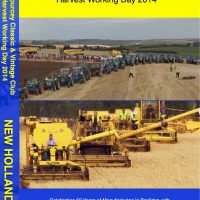 This entry was posted in Harvest Day and tagged 20018, accident, Coastguard, Courcey, Day, De, Dr Jason van der Velde, farm, H.S.E. 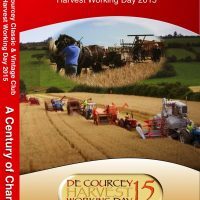 ambulance service, Harvest, simulated, West Cork Rapid Response, Working on August 7, 2018 by admin.